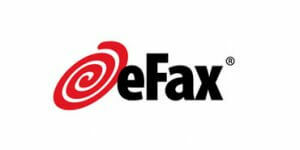 As one of the oldest and largest online fax services, eFax is used by everyone from Fortune 500 companies to freelancers. This service makes sending and receiving faxes electronically easier and faster and offers several convenient ways to handle your faxes. Learn more about its advanced features and potential downsides in our in-depth eFax review.